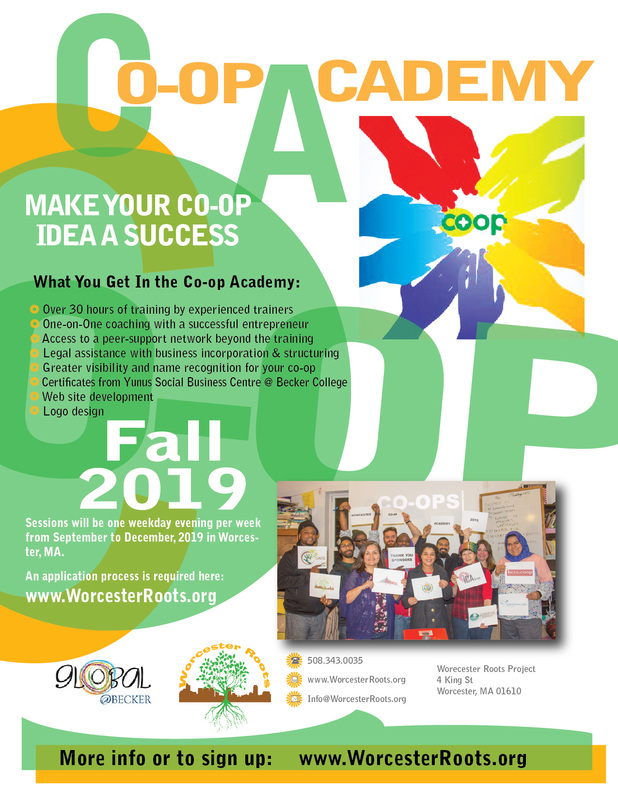 Using curriculum developed with partners around the region and an outgrowth of proven, successful models for co-op incubation, Worcester Roots holds an intensive 14 week co-op incubation program each fall. Services and resources provided include: one-on-one followup and mentorship, connections to networks of co-ops and co-op funders, know-how and expert advice on the nuts and bolts of co-op development. Explore our curriculum elements here. 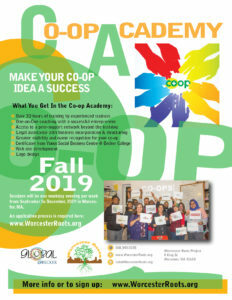 The next Co-op Academy begins September 2019. Sessions will be one weekday evening per week from September to December, 2019 in Worcester, MA. An application process is required. If interested, please APPLY HERE. Deadline extended to July 31st, 2019. 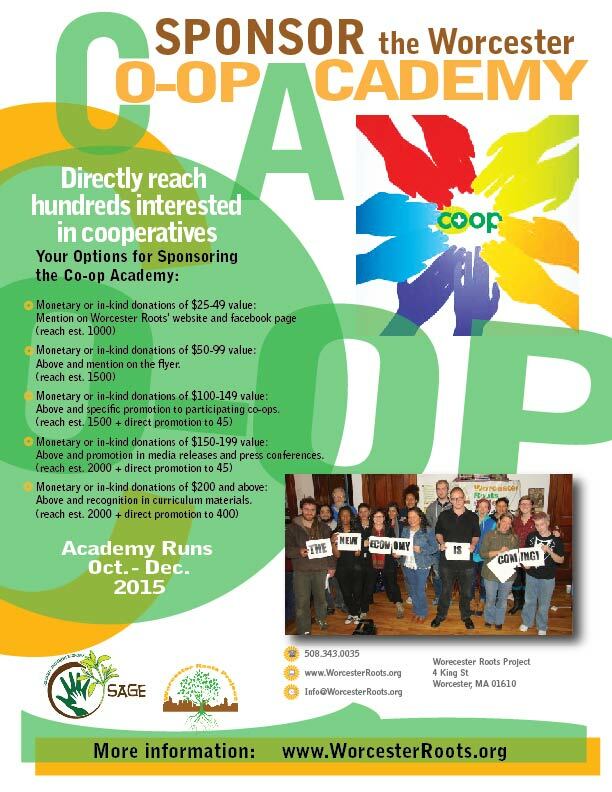 Information on past Co-op Academies here. Las sesiones serán un día de la semana en la tarde de septiembre hasta diciembre, 2019 en Worcester, MA. Es necesario este proceso de aplicación. Aplique aquí en español antes de 15 de julio, 2019. Contact us to get involved!Pledge to sponsor the academy here.